UP and IN: Seven Keys to Unlocking Your Potential has has been chosen as a 2014 Eric Hoffer Award Finalest. Click HERE to see the full list of Finalists! UP and IN: Seven Keys to Unlocking Your Potential has been given a 5 STAR review from Reader's Favorite! Read the article HERE! UP and IN: Seven Keys to Unlocking Your Potential has been named a FORWARD REVIEWS BOOK OF THE YEAR - FINALEST, ADULT NONFICTION - SELF HELP! UP and IN: Seven Keys to Unlocking Your Potential has won a Silver Medal in the 2014 Feathered Quill Book Awards. 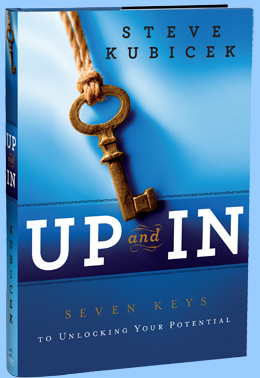 UP and IN: Seven Keys to Unlocking Your Potential wins "gold" Evergreen Book medal for Spiritual Leadership in the 2013 Living Now Book Awards! Click HERE to see all of the results! 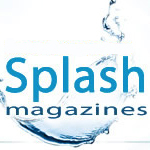 UP and IN: Seven Keys to Unlocking Your Potential was selected for inclusion in SPLASH Magazines' 2013 Book Gift Guide. Up and In is an inspiring, self-mentoring resource based on the encouraging stories of a successful corporate executive, ordained deacon, and speaker. With gentle humor, uplifting anecdotes, and inspiring quotes woven throughout, Up and In takes readers on a rich, rewarding, and meaningful journey of reflection, discovery, and transformation. Resplendent with simple truths and powerful personal testimony, timeless Scripture and timely insights, Up and In presents an exceptional collection of 42 daily readings designed to encourage, challenge, renew, and uplift. 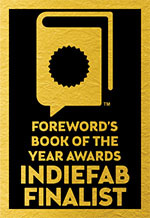 An inventive, inspiring, and invaluable resource, Up and In has garnered high advance praise, including: “one of the most encouraging books that I have read…practical and filled with pearls of wisdom”; “a great personal resource”; “a breath of fresh air.” Uplifting and affirming, Up and In addresses such issues as: uncovering true worth and potential; confronting damaging thinking and habits; developing the tools to rebound from setbacks; outlining the path for discovering significance and more. With the deft touch of a true storyteller and an unmistakable faith, author Steve Kubicek created a book that is anything but an ordinary self-help guide: with its conversational, inviting, and warm tone, Up and In is part good friend/trusted confidant/wise-mentor-in-a-book, part road map to a meaningful life, part inspiring companion—and wholly enriching. Moving and motivational, thoughtful and thought-provoking, Up and In is an extraordinary—and extraordinarily valuable—resource. •	Outlining a path for discovering significance. Get ready for forty-two days of challenging inspiration that will help you unlock your potential and transition to an up-and-in point of view.